If Noah’s ark sails again it could make a fruitful boarding stop in the office of Howard Evans, BS ’44, PhD ’50. A microcosm of biodiversity, this miniature museum is decked floor to ceiling with animal specimens from across the globe. Yet it models only a brief sample of the expansive zoological knowledge Evans holds. This professor emeritus is a proficient anatomist whose life is rich with stories of worldwide adventures, a tireless fascination for how life is built across kingdoms, and an equal delight in sharing this beauty with others. “Everyone should know some anatomy because it’s the basis of how animals act and what they do,” said Evans. Since joining the Veterinary College’s Department of Anatomy in 1950, he has taught thousands of veterinarians the inside story of how animals work, with courses spanning species from farm to domestic to exotic. With a joy in teaching as indiscriminate as his joy in nature, he advised Cornell’s undergraduate zoology club, served on 37 graduate committees, and spent 20 summers teaching the AQUAVET program for aspiring aquatic specialists. This generous collaborative spirit extended to his colleagues at the College, where he served as Secretary of the Faculty for twelve years and chaired the department of Anatomy for ten. He has served the profession’s future through over 160 publications, including his seminal text, Miller’s Anatomy of the Dog, which he and Sandy deLahunta are currently updating to a new full-color edition. He has edited several anatomy journals, and served as consultant for anatomy programs in universities including Tufts, University of Georgia, UC Davis, and international universities in Grenada, South Africa, Zimbabwe, Taiwan, and Japan. For Evans, retirement means more time for teaching. “Leading trips for Cornell Adult University (CAU) has been good fun, and gave me the chance to collect more specimens for Cornell’s Museum of Vertebrates,” said Evans. Since retiring in 1986 Evans has led scores of Cornell alumni across the world in over a dozen educational expeditions through CAU. Traveling to New Guinea, Australia, Tanzania, Kenya, and more, his recent Antarctic expedition introduced him to the Gentoo penguin skeleton now adorning his desk. With bins brimming full of tangible treasures including stuffed animals, bones, fossils, and more, Evans now takes his show on tour. The energetic 88-year-old regularly presents on natural history topics across Cornell, including at Alice Cook House, where he is a Faculty Fellow and frequently dines with undergraduate residents. He and his wife, Erica, continue yearly pilgrimages to teach fish structure at Cornell’s Shoals Marine Lab, and he still gives anatomy lectures at the College. His natural treasures and world of experience fascinate children at local elementary schools, where his visits are in high demand. Twice a week in the fall he gives classrooms a taste of nature’s spectacular show and tell. “Teachers try to encourage kids to ask questions. But when they get excited about nature they just love to tell stories,” Evans laughed. As a storytelling scientist gifted at both these arts, Evans can relate. Two experts from Cornell are teaming up to tackle salmonella contamination in produce, thanks to a $500,000 grant from the Agriculture and Food Research Initiative through the U.S. Department of Agriculture (USDA). Cornell was one of 24 institutions to receive such grants to reduce food-borne illnesses and deaths from microbial contamination. Craig Altier, a salmonella specialist at the Animal Health Diagnostic Center at Cornell’s College of Veterinary Medicine, will work with Greg Martin, Cornell professor of plant pathology and plant-microbe biology and an expert on tomato disease resistance at the Cornell-affiliated Boyce Thompson Institute for Plant Research, to investigate how salmonella interacts with tomatoes with the hope of finding ways to stop its spread. Unwittingly sharing our food with unseen organisms sends thousands to the hospital each year. Some 50 million Americans get sick every year after consuming food-poisoning pathogens, according to the U.S. Centers for Disease Control and Prevention, and 3,000 of those cases are fatal. Salmonella bacteria pose the biggest food-borne health threat in the United States. While the quest for cleaner food reduced cases of many food-borne pathogens during the past 15 years, salmonella infections continue to rise. Altier will grow mutant strains of salmonella in his lab to study how the bacteria affect tomatoes when they lack certain genes. He will take strains to Martin’s lab to test them on tomato plants while Martin studies the plants’ immune responses. After running them through the course of infection, Altier will remove the salmonella from the plants to analyze in his lab. What do sink scum, dental plaque, and streambed slime have in common? They are all biofilms, billions of bacteria banded together into a resilient community. Beyond clogging your drain, these colonies can turn equipment such as catheters, implants, and heart valves into biomedical hazards. When growing inside the body, biofilms can cause infectious diseases affecting urinary tracts infections, gingivitis, listeriosis in dairy cattle, and the infections associated with the deadly incurable lung disease cystic fibrosis. But moving from solo life to social life requires communication. 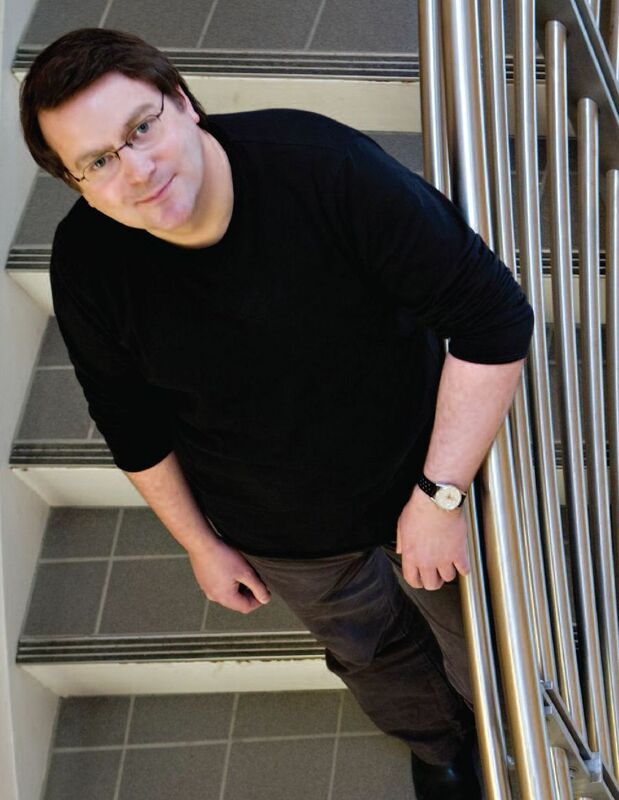 Holger Sondermann, structural biologist and student of cellular communication pathways, was determined to find out how Bacteria organize. What happens when a lone bacterium decides it’s had enough of the single’s scene? Like any good Facebook user, it sends out friend requests. Discovering a social networking tool much like those we use online, Sondermann found how bacteria form biofilms by sending invitations to their neighbors. A receptor protein called VpsT accepts the request, and prepares the individual for community life. Unveiling such molecular machinery requires probing proteins at the most basic level to uncover their structure. In his second line of research, Sondermann seeks the biophysical blueprints of cell signaling proteins in the brain. A 2008 Pew Scholar in the Biomedical Sciences and Robert N. Noyes Assistant Professor in Life Science and Technology, Sondermann received tenure in November 2010. Romping through summer fields seems like a harmless pleasure for dogs, horses and humans alike. But just one bite from the wrong tick can rob an animal of that pastime. The bacteria Borrelia burgdorferi catch rides with certain species of ticks and can cause Lyme disease in animals the ticks bite. Catching the disease early is paramount because it becomes progressively harder to fight as the bacteria conduct guerilla warfare from hiding places in the joints, nervous tissues and organs of their hosts. A new test for Lyme disease in horses and dogs, developed by researchers at the Animal Health Diagnostic Center (AHDC) at the College of Veterinary Medicine at Cornell, will improve our understanding of the disease and pinpoint time of infection, opening possibilities for earlier intervention and more effective treatment plans. The multiplex procedure, which can detect three different antibodies produced in response to the bacteria associated with Lyme disease using a single test on the sample, eliminates the need for separate tests. In addition, it requires smaller samples and answers more questions about the disease. Multiplex technology has been used for the last decade, but the AHDC is the first veterinary diagnostic laboratory to use it to test for Lyme disease. Different kinds of antibodies can be found in the body at different stages of infection. The new test can distinguish and measure these differences, giving more information about the timing of the disease. The bacteria that cause Lyme disease are particularly difficult to detect, according to Wagner, because after infection they tend to hide where they can’t be found. They bury in the joints of dogs, causing arthritis or lameness. Serious kidney disease has also been associated with Lyme infections in dogs. In humans and horses, they also burrow into the nervous system, in the spine or the brain, causing pain, paralysis or behavioral changes. By the time such clinical signs appear, the bacteria are usually not in circulation anymore. The test and information the test provides can help veterinarians make advanced decisions about treatment. After the long treatment period ends, veterinarians usually conduct follow-up testing to see if it was successful. 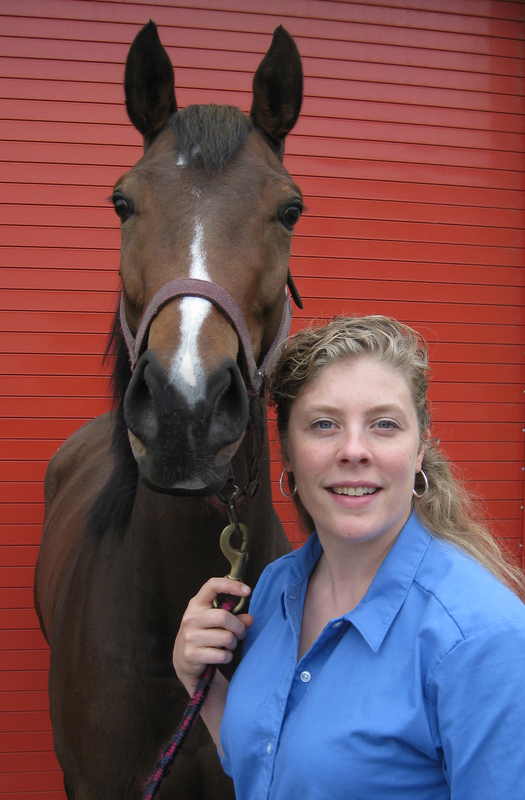 Catherine Hackett, DVM, Ph.D., has been selected as the winner of the 2010 Storm Cat Career Development Award. 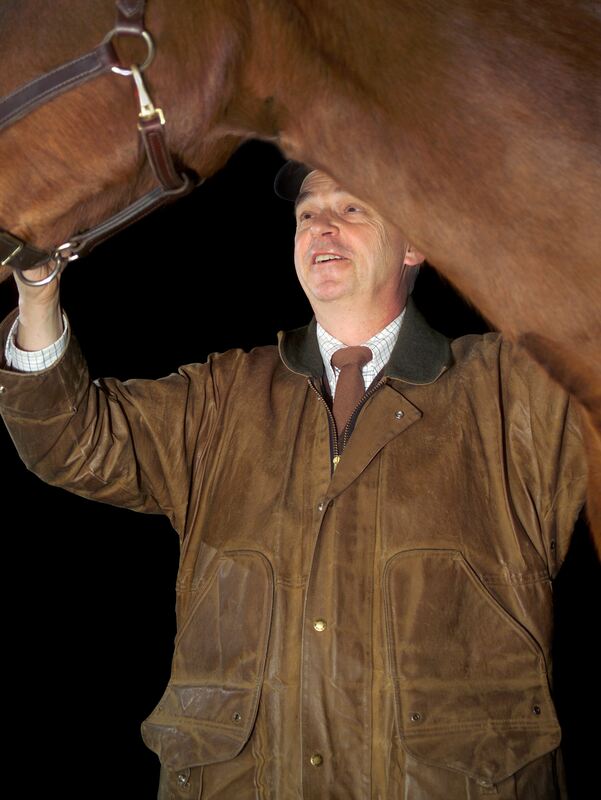 The $15,000 award is presented to an early-stage scientist with an interest in a career in equine research. Selected from numerous competitors, Hackett’s research will focus on equine stem cells in a project entitled “Temporal Analysis of Mesechymal Progenator Cells.” The research will be overseen by Dr. Lisa Fortier, a distinguished researcher, recipient of multiple Grayson-Jockey Club Research Foundation grants, and frequent recipient of Zweig funding. The award is named for the Thoroughbred stallion Storm Cat, which stood at Overbrook Farm in Kentucky. Overbrook is owned by the family of Lucy Young Hamilton, a Foundation board of directors member who personally underwrites the Career Development Award. A paper on pregnancy immunology from the lab of Dr. Doug Antczak has been selected by the Faculty of 1000, placing his work in a library of the top two percent of published articles in biology and medicine. According to its website, the Faculty of 1000 (F1000) identifies and evaluates the most important articles in biology and medical research publications. Articles are selected by a peer-nominated global faculty composed of the world’s leading scientists and clinicians who rate chosen articles and explain their importance. Antczak’s paper, “Functions of ectopically transplanted invasive horse trophoblast,” (Reproduction 2011 Mar. 9), was selected and evaluated by F1000 member Anthony Michael Carter. “This paper advances understanding of how invasive trophoblast cells are able to establish endometrial cups in the mare,” wrote Carter in an evaluation describing Antczak’s discovery. Trophoblast cells, which form around embryos, can migrate to the uterus. In pregnant mares, these invading cells form ulcer-like structures in the uterus that produce equine gonadotropin. This hormone serves several functions in pregnancy including protecting the embryo from the mother’s immune system. The project’s lead scientist, Dr. Amanda de Mestre, was formerly a post-doctoral fellow in the Antczak lab, and is now a faculty member at the Royal Veterinary College in London. De Mestre’s training included two distinct experiences at Cornell. While still a veterinary student in her native Australia, she spent a summer conducting research in the Antczak lab as a participant in Cornell’s Leadership Program. F1000’s database provides both a repository for peer-rated high-impact biology articles and a social media forum for serious science. Its community features enable discussions to be built around the selected publications. Additional faculty members may evaluate and rate the article, and subscribers can post comments. Antczak will be able to join the conversation, providing follow-up notes concerning his article and responding to ideas put forth by commenters and evaluators. 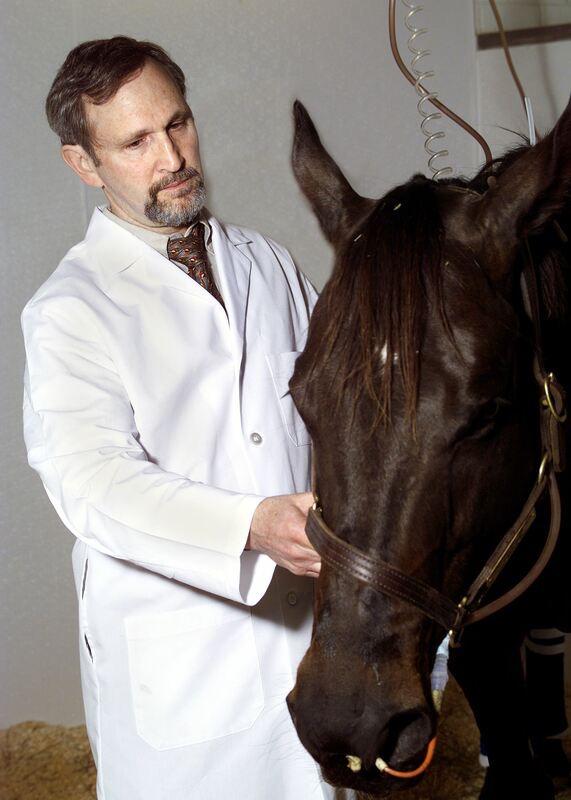 This research is part of a continuing program in equine pregnancy immunology at the Baker Institute for Animal Health that has been supported for many years by the Zweig Memorial Fund, the Dorothy Russell Havemeyer Foundation, and the National Institutes of Health. When bacteria bloom in the blood the ensuing battle can wreak havoc on the body. Endotoxemia, bacterial blood poisoning, ignites a rising tide of immune cells and blood platelets that help fight infection but can also cause tissue damage. In horses, endotoxemia and subsequent inflammation can cause severe complications following abdominal surgeries, in common equine disorders including colic and retained placenta, and in weak foals that fail to nurse properly. Dr. Thomas Divers is leading a team of Cornell veterinarians investigating a new approach to treating the effects of endotoxemia by quelling the rampaging immune response. Collaborators Drs. Marjory Brooks, Susan Fubini, Ashlee Watts, Tracy Stokol, and Sally Ness aid in the investigation. If successful, this novel approach will change the best-guess strategy into an evidence-based solution to suffering by using the anti-platelet drug clopidogrel (Plavix®), one of the most commonly used drugs in human medicine. The project will provide insights into the pathophysiology of endotoxemia and the ability of Plavix® to down-regulate platelet reactivity in endotoxic horses.